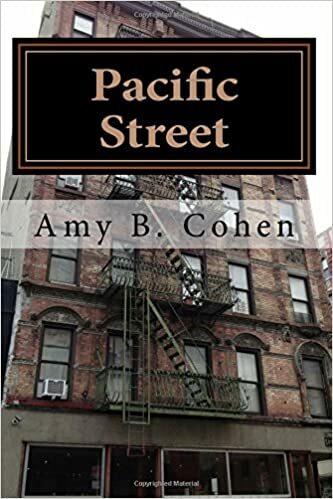 My great-great-grandparents Frances Nusbaum and Bernard Seligman had three children who survived to adulthood: my great-grandmother Eva, whose adult life I’ve written about here, and her two younger brothers, James and Arthur, my great-great-uncles. First, I will write about James and his family. As I’ve already written, James was born on August 11, 1868, in Philadelphia, attended Swarthmore, and lived in Salt Lake City for a number of years between 1888 and 1900. He married Ruth V.B. Stevenson in 1893, and they had two children: Morton Tinslar, born in 1895, and Beatrice Grace, born in 1898. It must have been not long afterwards that Bernard and Frances left Santa Fe and moved to Philadelphia, where Bernard spent the last few years of his life before dying in 1903. 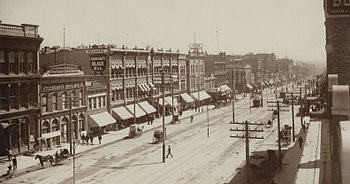 In 1903 James became president and general manager of Seligman Brothers when the business incorporated and his uncle Adolph left the company. In a very short amount of time, James had become a leader in the Santa Fe political and business community. Meanwhile, James and Ruth’s children were growing up. 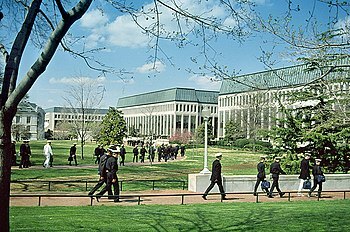 Morton, after starting college at the University of New Mexico, was notified in May, 1914, that he had been accepted into Annapolis, the US Naval Academy. He enrolled that June and graduated in June, 1918, in the top third of his class. His long career with the Navy will be discussed in my next blog post. Although I do not know what illness Beatrice was fighting, it must have been very hard for her parents to send her so far away in hopes of improving her health. No matter how many times I read about a parent losing a child, it never fails to upset me and make me wonder how those parents coped with the loss. 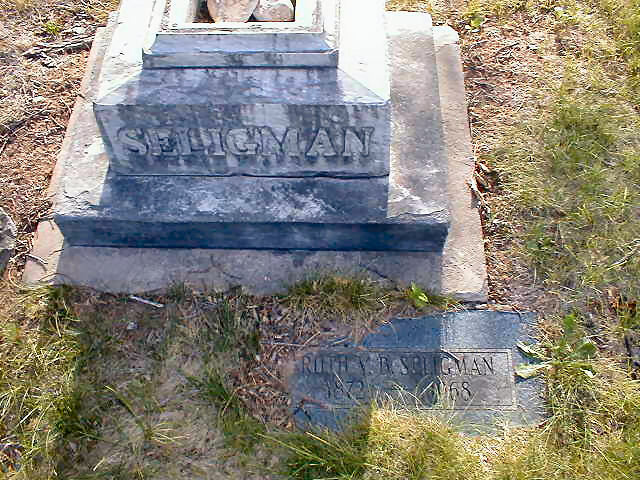 As I wrote in my prior post, the 1920s were not good years for the Seligman Brothers business. Although Seligman Brothers was still listed in the Santa Fe directory in 1928, the general manager was someone named Evelyn Conway, not anyone named Seligman. James and Ruth Seligman had started a new venture, Old Santa Fe Trading Post, filed with the State of New Mexico in March, 1929. http://www.bizapedia.com/nm/OLD-SANTA-FE-TRADING-POST-INC.html James described his occupation on the 1930 census as a merchant in the antiques business. The 1930 directory for Santa Fe listed James as the president and his wife Ruth as the secretary-treasurer of the Old Santa Fe Trading Post, as did the directories for 1932, 1934, 1936, and 1938. On the 1940 census, James again listed his occupation as an antiques dealer. It would be interesting to know why James left Seligman Brothers and formed a different business. As we will see, Arthur also had moved on to different ventures by the 1920s. Did the business fail because the brothers lost interest, or did they move on because the business was failing? Somehow I think it is more likely the former as both James and Arthur seemed to have other interests, both having served in public office. 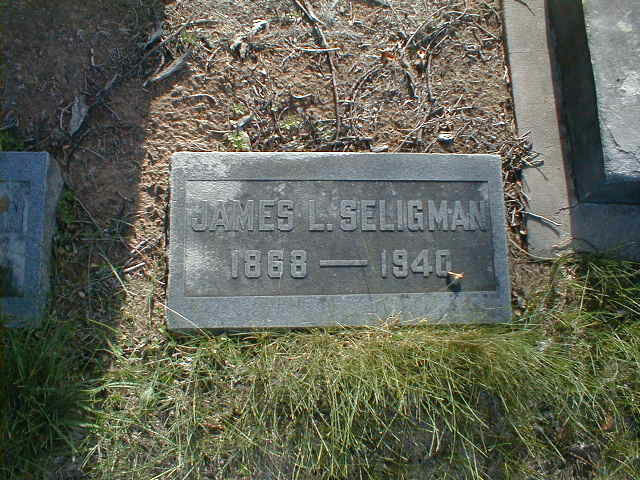 James Leon Seligman died on December 15, 1940. He was 72 years old. He was buried in Fairview Cemetery in Santa Fe. His wife Ruth lived another 28 years; she was 95 years old and died in Coronado, California, where her son Morton lived for many years. 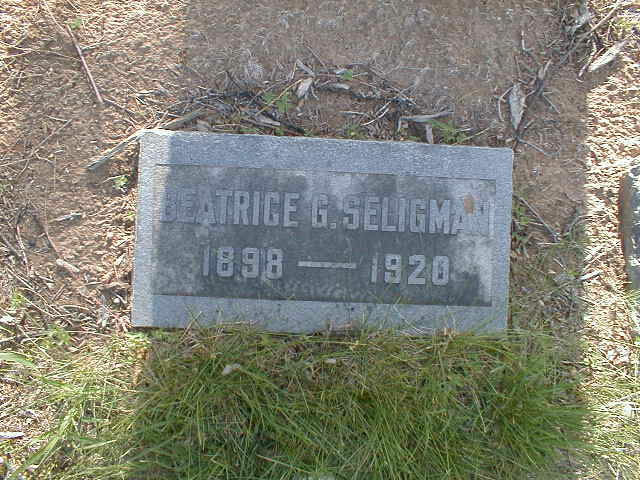 She was buried with her husband James back in Santa Fe at Fairview Cemetery. 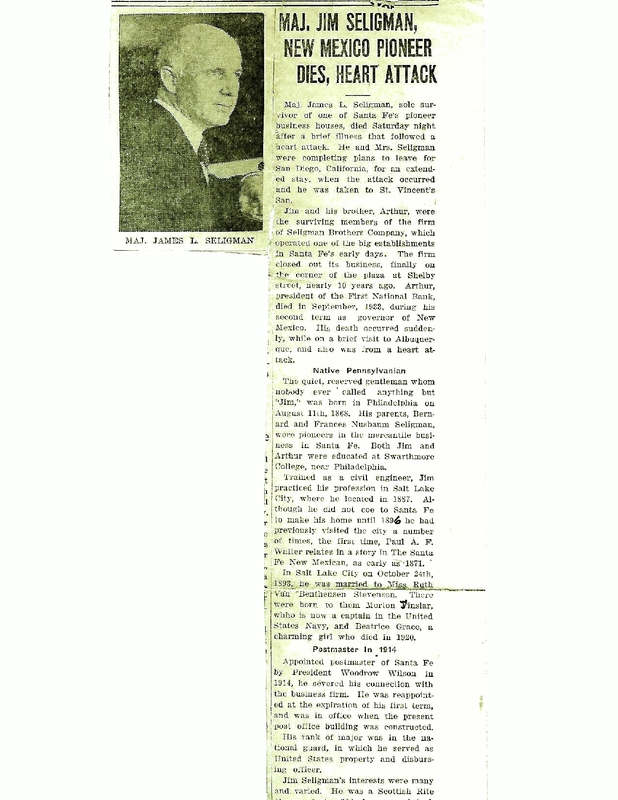 UPDATE: My cousin Pete wrote about James Seligman, our mutual relative, on his website. You can see it here. This entry was posted in Genealogy, Santa Fe, Seligman/Seligmann and tagged Albuquerque Journal, Denver, Fairview Cemetery, Santa Fe, Santa Fe New Mexican, seligman, University of New Mexico by Amy. Bookmark the permalink.